Grand Daisy Press, 9780996284356, 182pp. From the Award Winning Author of the Nate Rocks Series: The Story Continues Twelve-year-old Millicent Marie Harris thought her advice giving days were over. After all, her blog had been an epic disaster. But when her former crush convinces her it's time to take her skills to the big league, aka the school newspaper, she decides it might be worth giving it another try. It seems life might finally be getting back to normal for this sixth-grader. However, there are other big problems brewing at Springside Elementary. Mr. Stiles, the school's long-standing and beloved principal leaves abruptly-replaced by Dr. Feather Foster, a newcomer with a harsh rule list a mile long. To make matters worse, there is trouble with the school play and suspicions that Millie's brother is still sneaking around her diary. 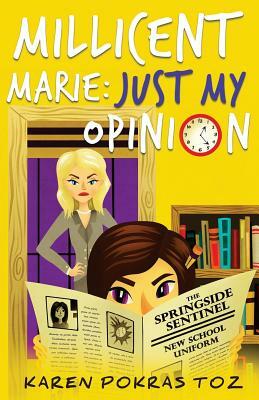 Enlisting the help of her friends, Millie sets out to find the truth, in hopes of restoring peace to Springside Elementary before the school year is over and any more disasters occur.